I wasn’t going to say anything. It is an embarrassing and frustrating tale, and frankly I just wanted to let things go and move on. Then, I read this review on Glassdoor.com and it absolutely broke my heart. I knew I couldn’t keep silent any longer. 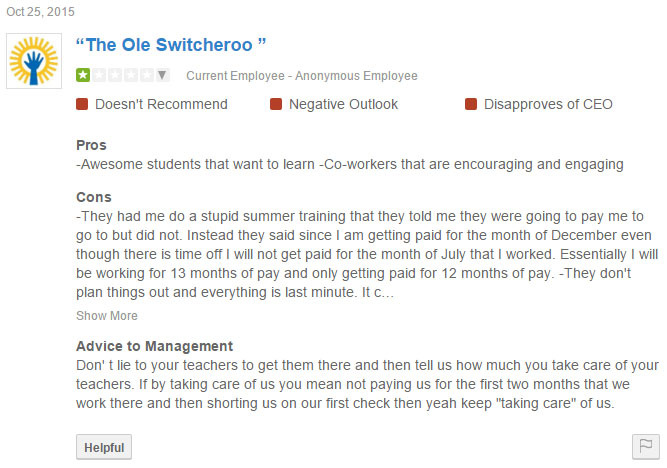 Of course, this review and the abysmal employee satisfaction rating of 2.6 out of 5.0 shouldn’t surprise me. When I showed up at Uplift Hampton Primary school it was immediately clear that over half of the teachers who taught there the previous year had quit. The week before school started two more teachers – one new hire, and one returning teacher – had also quit. By the time I became aware of these startling facts it was already too late: I had already moved halfway across the country and my heart and mind was already too full of hope and optimism to pay them any mind, much less do something about them. I was hooked and it was about to be a very bumpy ride. During the 2014-2015 school year, I had the joy of substitute teaching at a couple of local Chicago schools. Both were private, one Catholic, and one Christian, but they catered to low income families. Prior to this, I had spent over 20 years working with youth and children with special needs: I volunteered at church camps and theater camps. I was the director of the Drug Education For Youth (DEFY) summer camp at Beale Air Force Base. I did two contracts aboard the Independence of the Seas working as a youth staff member for Royal Caribbean. I volunteered numerous times for the Special Olympics and at the Special Gifts Theatre. And I taught as a guest teaching artist at Ray Elementary School on the south side of Chicago in a literacy program for K-2. During this time, I had earned the respect and admiration of my students, their parents, my peers, and my supervisors. I was even offered a full-time job at the wonderful St. Sylverster School in Chicago based on my performance there. I wanted to change my career path into education. I wanted to move to Dallas, Texas. One fateful evening, after visiting my grandfather in Dallas, I made a last minute decision to change my flight to leave later in the evening. I could have never known that decision would change my life forever. It was on that later flight – the last one out of Dallas Love Field to Chicago – that I met the husband of Kecia Clark. I never talk to strangers on planes, but for some reason on this trip I was in an exceptionally good mood and I felt like making a new friend. I shared my goals with Mr. Clark, and he told me this his wife was an instructor at Namaste Charter School in Chicago (where my friend’s children attend), but they were soon moving to Dallas because she had taken a job as the director of a primary school in Dallas. He gave me her contact information and promised to mention me to his wife. I immediately emailed Mrs. Clark the next day and simply inquired about what kind of path I should take to get into education. I only had a B.S. in Economics from UIC and no teaching certifications. Mrs. Clark emailed me back and suggested that I apply for Uplift Education and in particular the school where she was teaching: Uplift Hampton Primary School. One thing lead to another and before I knew it, I had passed my initial interviews and was flying back down to Dallas to meet with the Hampton Primary School deans and interview for a position. They told me they were considering me as a technology teacher, music teacher, or a 3rd grade teacher. I told them I knew I was too under-qualified to properly run a music curriculum, but I would love to teach 3rd grade. I’m going to step back and have a moment of honesty here: I really don’t love 3rd grade. I don’t dislike it by any stretch of the imagination, but my real honest goal was to teach math on the junior high level. As a substitute teacher, I had the wonderful opportunity to teach nearly every subject at every grade level and middle school math is where I really found I was most effective. And don’t get me wrong, I absolutely loved and cared very deeply about each and every one of my 3rd grade students. It just wouldn’t have been my first choice. I was desperate to move to Dallas ASAP, and I was desperate to get a teaching certification, so I was willing to take anything I could get as I figured my options were very limited. Unfortunately, I am afraid that Uplift Education preys upon this kind of desperation and perception of limited opportunities among its applicant pool. But, I wouldn’t find this out until later. Uplift Education is pleased to offer you the position of 3rd Grade Teacher at Uplift Hampton Preparatory, beginning on July 13, 2015 for the 2015-2016 school year. Compensation for this full time position is 3541.55, less applicable taxes and benefit deductions per month, according to our regular payroll schedule. Your first paycheck will be on August 31, 2015. In this position you will report to the Primary Academic Director. This is a school year position. This raised a couple of questions for me, and so I immediately called the HR recruiter with whom I had been working, Erin McCann, to clarify these questions. The main question was for how long I would receive salary: Did it end at the end of the school year in May or did it continue through to the beginning of the following school year? Ms. McCann informed me that my salary was designed to extend through the end of July 2016. I also asked if I would be paid for the training in July (school doesn’t start until the first week of August), and Ms. McCann also told me that yes, all teachers were paid for training. As it turns out, this paragraph, and Ms. McCann’s answers to my questions, dramatically misrepresent the salary arrangements that Uplift is extending towards its teachers. This is, I believe, the main source of confusion for disgruntled employees such as the one whom I mentioned at the top of this post. It appears that I am being offered a monthly salary of $3541.55. For the months of August through July. That means I would earn an annual salary of $42,498.60. However, because I was starting in July and was told that I am paid for training, I reasonably expected to be paid a pro-rated salary for the month of July, or $2,056.38. That means, my expectation was that I would receive a paycheck for the gross amount of $5,597.93 for one month and 18 days of work when they ran payroll on August 31. Much to my surprise, this was not the case and I only received the $3541.55 amount for the month of August. I did some asking around and was informed by some veteran employees that Uplift has a habit of messing up the first paycheck for new employees, and this was a common problem that I should simply contact payroll to correct. So I did. That is when the truth came out: Uplift Education didn’t offer me a job at a monthly salary rate of $3541.55. They offered me a job at a lump sum salary rate of $42,498.60 divided over 12 equal payments of $3541.55. This salary is based on a daily rate of days in the classroom and therefore does not truly cover training days. The reasoning given to me for this is that as teachers, we have extended days for holiday breaks, spring break, etc. and that the lack of pay for training days makes up for the fact that we are being paid a full month’s salary in December and March even though we take a week or two off of work then. It was further explained that my offer letter makes that clear: After all, they reasoned, it says I don’t get my first paycheck until August 31, so it should be obvious I am only being paid for the month of August. I completely understand this. I really do. I don’t entirely agree with the rational that teachers are being paid for “extended days off” to justify not paying them for training days – especially after it was explicitly expressed to me that I was paid for training when I asked. I’ve always thought that teachers are paid for “extended days off” because we work 12-hour days on our “days on.” My experience at Uplift was grueling. I showed up at for work at 6:30 in the morning and didn’t leave until almost 6 at night – sometimes much later. Myself and most of the teachers I worked with came in at least one day nearly every weekend, so our Saturdays and/or Sundays were going toward the school as well. The idea of academic breaks being “extended time off” that is a debt I owe the school and repay by not being paid for training days somewhat baffles me. For example, lets say you work a 40-hour per week job five days per week at 8 hours per day and get paid $1000 per week. Then, you get your schedule adjusted and start working 10 hours per day and take a three day weekend. You are doing the same amount of work in four days that most people are doing in five days. So, you wouldn’t expect your boss to suddenly decrease your pay to $800 per week would you? Or, lets say that you still work five days per week – you are now doing 20% more work than you were before. So, after 10 weeks you are given two weeks off – in essence you have “banked” that extra day per week for an extended vacation. Wouldn’t it surprise you if your employer told you that you hadn’t actually “earned” your vacation by working additional hours and being 20% more productive, but instead you didn’t deserve to be paid for those days off so they were going to not pay you for extra training days you worked? This is the trade-off that teachers make, and I completely understand and accept it. In exchange for working 10 and 12 hours days and giving up weekends during the school year, teachers get extended vacation times over the winter and summer. Anyone who has taught, known someone who has, or simply taken the time to do the math understand that teachers more than earn those days off. It is a completely understood trade-off. That is why it is disingenuous when Uplift tells their teachers that they are paid for training – required training – that cuts into what is considered “vacation time” and is in excess of what other schools require of their teachers. Uplift teachers are required to show up for more days at work than other teachers outside of the normal school year and do not receive additional pay for this. When comparing an Uplift Education salary of $42,498.60 to that of another school district with the same salary, one cannot make an economically fair comparison unless they consider that they will be working more days and have less vacation time than they would receive at other school districts with no additional pay. An offer from Uplift Education of $42,498.60 with the requirement for additional unpaid training days is equal to an offer from another school of $40,501.28, or 4.7% less. For some people, an extra $1997.32 can make a big difference. But for everyone, I’m sure that being paid almost 5% less than you thought you were being paid – and working full-time for 7 weeks straight only to receive a paycheck for one month’s worth of pay – is probably quite an upsetting shock. This problem could be very easily resolved. All Uplift Education has to do is change their offer letters to explain that teachers are paid a lump sum divided over 12 equal payments and that there is no additional pay for any additional days required for training. That way there would be no confusion and no disappointed expectations. But, I don’t think Uplift wants to fix this problem. In my back-and-forth with them, I came to understand that they believe their offer letter is technically legal and therefore, any perceived deception is on the part of the reader. Again, I don’t disagree with what Uplift Education is doing in how they distribute teacher’s salary. I am just disappointed that they communicate it to potential new hires so poorly and mislead them. I wish I had known all this upfront when I was making a decision. And I’m not the only one. But that isn’t the worst thing Uplift Education does to take advantage of their teachers. The worst thing about Uplift Education is the scam they run called Teaching Excellence, their alternative certification program. Near the end of my offer letter there was the following paragraph. Please note that all teachers must meet the Highly Qualified requirements as defined by NCLB. If you do not currently meet those standards, you must complete those requirements and provide documentation prior to the start of the school year. Additionally, one of the conditions for employment at a teacher with Uplift Education is that all teachers must be certified in the subjects they are teaching. If you are not currently certified, you must meet these requirements by completing Uplift’s Teaching Excellence alternative certification program. If you are enrolled in an alternative program at this time, we do require that you transfer to Uplift’s Teaching Excellence program in the first year of your employment. If you fail to meet these requirements, your employment with Uplift may be terminated at the end of the school year. I’m going to go on record as saying that Uplift Education’s administration of Teaching Excellence is an absolute disaster. It is such a disorganized mess. The people who are implementing the program, especially the instructional coaches are so well meaning and working so hard! I could probably write 10,000 words on the absolute mess that is Teaching Excellence, but I can really boil it down to these five: Failed leadership at the top. No one has properly overseen and planned this program out. As a participant, new hires feel like they are speeding down the highway at 115 mph in a car that is being held together by duct tape. All while trying to also teach your kids. But I digress. 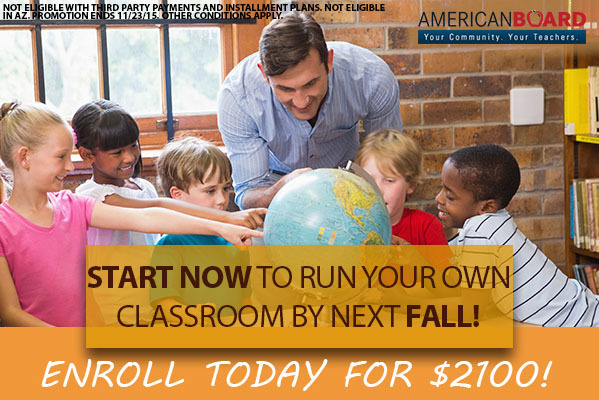 Seeing as I am not certified to teach in the state of Texas and I had already been researching alternative teaching certification programs in the states of Illinois, Florida, and California, it was no surprise to me that a condition of employment was enrollment in an alternative teaching certification program. I was pleasantly delighted, however, to see that Uplift administered their own program. Or at least, that is what Ms. McCann told me when I asked her if I needed to take any additional steps to enroll in Teaching Excellence prior accepting the position and moving to Dallas. However, when I received my first paycheck from Uplift Education, to my surprise, not only was it over $2000 less than expected in my gross pay, but I also noticed a $450 deduction to my net pay. What on earth was this deduction? Well, it was for Teaching Excellence. As it turns out, Teaching Excellence is a program that Uplift Education administers and chargers its uncertified teachers for at a cost of $4500. And let me be clear: Uplift Education hires a lot of uncertified teachers. You see, Uplift Education relies very heavily on Teach for America (TFA) to supply it with teachers. In Hampton Primary School, where there were only about 30 or so teachers, there were at least 2 that I can think of off the top of my head that were first year teachers sent to Uplift through TFA. If you ask around, you will discover that many more of Hampton’s teachers are TFA alums and many of the teachers in the Uplift network came through TFA. In a nutshell, Teach for America is a program that places new college graduates with degrees in a field other than education into teaching jobs and promises to train them through an alternative certification program. At Uplift, TFA enrolls their corps members in Uplift’s Teaching Excellence program, but also requires them to complete additional training seminars outside of Uplift’s program. I came to Uplift independent of TFA, as did many of the nearly 100 or more new teachers I met who were enrolled in Uplift’s Teaching Excellence program. So, if you do the math, Uplift plans to collect $450 per month, per teacher, for ten months to cover their “costs” associated with Teaching Excellence. And since there were at least 100 teachers in Teaching Excellence just this year alone, it would appear Uplift is collecting $450,000 for this program. That is pretty good business. What is Uplift giving teachers in exchange for this? Well, there is a dedicated staff of instructional coaches, program administrators, and a very thoroughly customized training curriculum that Uplift administers. Teachers are expected to complete tasks, conduct observations, take tests, read books, and write papers which are graded (in addition to teaching full-time in the classroom). All of this goes towards earning several hundred (I believe about 250 but don’t quote me on that) hours of training that Texas requires for alternative certification. That actually seems like a very reasonable value proposition. There is only one problem. Uplift Education does not disclose this to new teachers prior to accepting their job! This prevents potential new hires from making a truly informed decision and only leads to catastrophic disappointment down the road. When I was offered a job at Uplift, I did some back of the envelop calculations on how much I would be making after taxes. Then, I looked at moving costs, living expenses, and average housing costs in Dallas and tried to figure out if I could live off of that income. In addition I figured in the payments I am making towards debt and the cost of purchasing a car (like many Chicagoians, I do not own a car) since owning a car in Dallas is absolutely necessary. I figured out I could make it work. I could barely make it work, but it was doable. Keep in mind, I was comparing this job offer to another offer that was in excess of $50,000 but was not in the education field. I was willing to sacrifice to work in an area I was passionate about doing “good work” for a mission that I strongly believed in. So, I was willing to sacrifice $8000 in annual salary for a teaching position at Uplift. But, if you figure in the $4500 Uplift is charging for Teaching Excellence after taxes, that adjusts to what is a pre-tax income of $35,619.36 – a full $6,879.24 or 16.19% less than is communicated in the offer letter. Add that to the 4.7% for the unpaid training days in July, and suddenly, when I received my first paycheck from Uplift Education, I found out I would be making 20.89% less than they communicated to me. Would I have been willing to accept this job ($35,619 annually) for $15,000 less pay than the competing offer offer I received? Nope. I needed that additional income to go towards purchasing a car and covering relocation expenses. It was certainly quite a shock to see it taken away without notice. Now, would I be willing to pay $4500 for an alternative certification program? I’m glad you asked. The answer is a a resounding no. Prior to ultimately deciding that I wanted to move to Dallas, Texas, I had been exploring options for teaching jobs in Florida and California. In fact, I had developed a relationship with a district administrator in Florida who was already teasing out a job offer and walking me through the steps I would need to take to get into an alternative certification program. She advised that I pursue the certification program first, then apply to teach, rather than pursue both at once. The program I was looking at is administered by The American Board and is an online curriculum that can be applied to 12 states including Florida at a cost of $2100. So, that is my benchmark for the cost of a good alternative certification program. However, Texas is a different beast and has slightly more rigorous requirements for alternative certification. I did a little research and found programs that cost in a range of $3100 – $3600. With that in mind, $4500 starts to seem like a very expensive alternative option. If I knew upfront that I was going to be paying out of pocket for alternative certification, $4500 is a price tag that I would certainly balk at, especially considering how much I already knew I was going to be taking home based on Uplift’s $42,498.60 offer. Oh, and that offer happens to also be below the market rate for new teachers in Dallas which is about $50,000 (more on that later). So, let’s back track a bit here. Here I was on July 2, 2015 with a very tempting offer from Uplift Education. It paid what I thought was “adequate” to move to Dallas, buy a car, and live on (although that would later turn out to be 20.89% less than I thought). I was going to be certified as a teacher by the end of the school year – at no additional cost (no disclosed additional cost), and I was going to be working for an organization whose mission I fully supported: Providing excellent education opportunities in undeserved communities, and focusing on 100% college acceptance among graduating seniors, a partnership with International Baccalaureate, and staff that tracks alums through their college years providing additional support to help curb the college drop-out rate. I called Erin McCann and received satisfactory answers to my questions, and then I abandoned all other job finding pursuits and sent in my acceptance letter to Uplift Education. I was riding high with excitement about my new career path and my move to Dallas, Texas. Everything was going perfectly. Or so I thought. The first hint that something was up came 6 days later when I received an email titled “Welcome to Teaching Excellence.” Attached was an 18 page PDF overview of the Teaching Excellence program. You can download a copy of the document I received here. It outlined many requirements and tasks I needed to complete – some by dates which had already passed – and I was immediately consumed with giving it my all and doing everything required. Those of you participating in the certification pathway will contribute $4,500 toward the program fees. Now, keep in mind, I had already accepted the job 6 days prior. In fact, I had already quit my current job in Chicago and was making the final preparations to relocate to Dallas since I was supposed to report for training in less than 5 days. Hitting the breaks once this ball had been set in motion was not something that was at the front of my mind. Did I read this part about the fee? I certainly did. Did I think this meant I would be having $4500 deducted from my after tax income of the $42,498.60 Uplift Education offered me resulting in an effective pre-tax income of $35,619.36? No, that thought never crossed my mind. 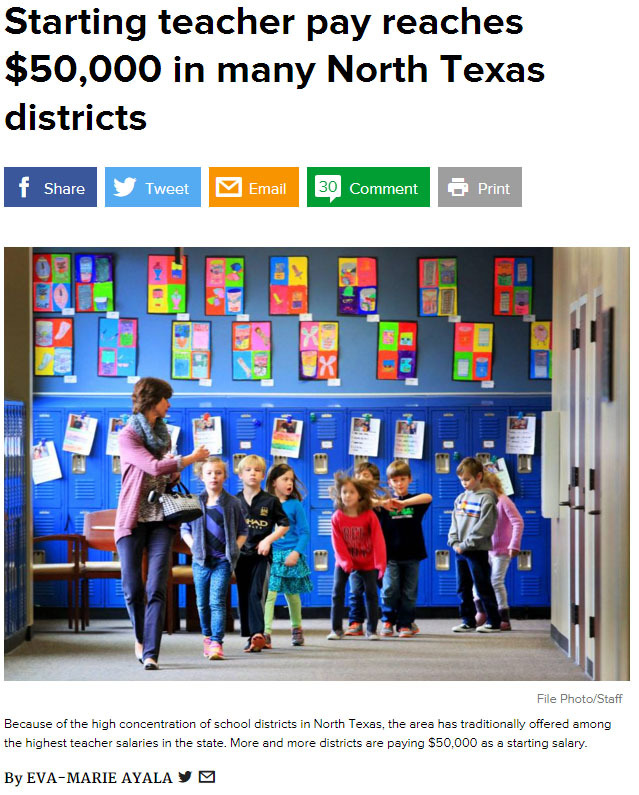 And here is a big reason why: I knew that I was already being paid much less – $7,500 less – than the starting wage of public school teachers in Dallas. I knew there had to be a reason why Uplift Education was offering me $7,500, and absent any other explanation, the cost of administering Teaching Excellence made perfect sense to me. It appeared that they were deducting $4500 from my pay offer, resulting in a $42,498.60 offer. After all, if there really was an additional required cost of $4500 to be employed with Uplift Education, I thought, surely they would have disclosed this to me up front in my offer letter. When I read this, I was immediately confused. What did they mean they were going to take $450 out of my paycheck? What did that mean my real pay would be? I approached one of the three individuals who was conducting the orientation and helping other people complete their paperwork and waited to ask my questions. Little did I know that none of the people conducting this orientation were human resources professionals. Rather, these individuals were instructional coaches. They were teachers who had been promoted to become instructional coaches for Teaching Excellence and help administer that program. So, much to my disappointment, there was not a single person present in the room who could give me a qualified answer to my questions. Of course, this was only my second day at Uplift. I had no idea of this fact. I thought the person I was talking to was from HR and knew what they were talking about. So, I presented them with this section of the agreement and said that I was confused how this would affect the salary I was quoted in my offer letter. In fact, I cited that my offer letter did not previously disclose anything about taking an extra $450 per month out of my paycheck, so I was very confused about what I was being asked to sign. The person with whom I spoke told me the following. 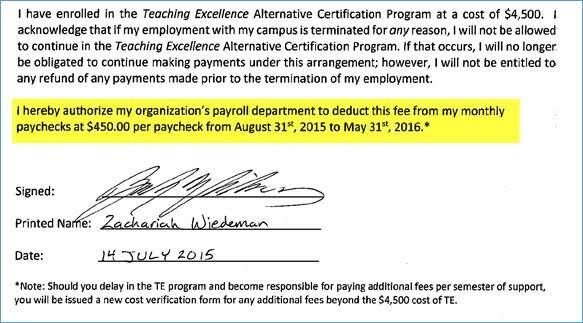 I was compelled to sign this document if I wanted to work at Uplift because it was necessary to be fully enrolled in Teaching Excellence, and enrollment in TE was a condition of my employment. Whatever I was offered in my offer letter was my pay regardless of the Teaching Excellence program costs, and if it did not mention an additional program of cost of $4500 that must have already been figured into the amount I was offered. All I was really signing was a waiver to not have the cost split up over 12 months rather than the default of 10. The default was to deduct $450 from my pay over 10 months and the paper I was signing was an offer on behalf of Uplift Education to change that to $375 in deductions over 12 months. If I chose the 12-month option I would receive an extra $75 in pay in addition to the monthly amount presented in my offer letter. This explanation made perfect sense to me, and it had the added benefit of already fitting with my original interpretation of a literal reading of my offer letter. After all, how could it be possible that Uplift Education would offer me a job at a salary of $7,500 below market rate and not disclose to me that I was required to remit an additional $4,500 of my after-tax income to them for the most expensive alternative certification program in the country that I had ever heard of? As it turns out, the instructional coach who gave me this information was mistaken. As it turns out, the salary presented to me in my offer letter was a clever deception. And, as it turns out, on July 14, 2015, 12 days after accepting a job at Uplift Education based on their offer letter, after quitting my old job and moving to Dallas from Chicago, I was compelled to sign a document that ultimately was authorizing them to remove an additional $450 from my take home pay without even realizing it. Later, it was this very document they would use against me when I argued my case with them. They baited me. They performed the switch. Then, they tricked me into signing a document that made it okay. They had me. On September 1, 2015, after seeing my paycheck for my first month and discovering it to be less than half the amount I expected, I wrote to Talia Hudspeth in payroll and pointed out that there must have been a clerical error. She got back to me the next day and said there was no error. We went back and forth several times over email that day. I presented the arguments I have already presented above, and she presented their circular counter arguments which I have also pointed out to the best of my ability. Ultimately, my argument came down to this: I don’t have a problem with how you salary your teachers. I don’t have a problem with you charging teachers for Teaching Excellence. I don’t even have a problem with the insanely high cost of $4500 for this program. I only have a problem with the fact that none of this information was presented upfront when I was faced with making a decision to accept your employment offer. All I am asking for is that the terms of the offer I was presented with in my original offer letter be honored. If you misrepresented yourselves, I would hope you understand that was your mistake and not mine. I would have never accepted this job if I knew that it paid 20.89% less than what you seemed to be offering. I told Ms. Hudspeth that I completely understood she only in a position to do was present me with information and it was out of her hands to make a decision on this. So, I asked her to please take my concerns to whomever was the decision maker in this case, and she put me in touch with Diana Meyer, the director of HR at Uplift Education. I heard from Ms. Meyer a week later and she asked me to set an in-person meeting with her. It took me a few days to figure out what kind of time I could squeeze a meeting into my extremely busy schedule at the school (teaching, grading papers, preparing lessons, fulfilling TE requirements), but I wrote back to her on the morning of Monday, September 14, 2015 giving her all the times I was available to meet for the rest of the week. By the time Friday, September 18, 2015 rolled around I had not heard back a word from Ms. Meyer and all the proposed times I had sent her had already come to pass. It was then that it occurred to me I was probably being intentionally stonewalled. No one in HR was truly interested in addressing my concerns. They were just going to play cat and mouse with me, taking advantage of my busy schedule, and hope that after a few months I would drop the issue. Additionally, because I have received almost $3000 less in my first paycheck than expected – an expectation based on Uplift Education’s actual, original offer of employment to me – I now find myself living in an apartment that I cannot afford to furnish. In order to accept this job and move from Chicago to Dallas, I was not able to afford moving services and therefore had to leave all large furniture items in Chicago with only 10 days to figure out how to dispose of them. Now, I go home every evening to an apartment without even so much as a chair to sit down on or a bed to sleep in. This has dramatically affected my health. Sleeping on a few blankets on the floor has wreaked havoc on my neck back and I have not had a good night’s sleep in weeks. Being unable to go to sleep for several hours after attempting to do so, and being unable to sleep regularly through the night has led to me coming to work exhausted and struggling to stay awake while standing and speaking to scholars. That I am able to come to work at all is a small miracle: My sleeping cycles have been so disrupted in the past few weeks that I wake up randomly throughout the night and have been unable to regularly wake up to the numerous alarms I am now having to set for myself. This is to say nothing of stress that keeps me awake at night wondering how I’m going to meet my financial commitments through the end of September without facing a choice between buying food or gasoline. In order to assure that Ms. Meyer would take my request seriously and not continue to blow me off, I CC’d her boss, Yasmin Bhatia, the CEO of Uplift Education, in on the email. It was a drastic measure, but at this point, after not having my concerns taken seriously and ultimately being completely stonewalled, I was at my wit’s end. Ms. Meyer very quickly got back to me and set a meeting with me for Monday, September 28. So, on Monday, September 28, 2015 I sat down with Diana Meyer and carefully outlined my grievance with the manner in which I was being paid. I told her that it boiled down to one simple issue: Uplift Education offered me a job at a specific salary and did not disclose to me in advance that this job required me to remit back to them $4500 of that salary after taxes. And I believed that constituted a misrepresentation of my pay that had breached my trust with the company and could only be rectified by waiving the Teaching Excellence fees and repaying me the money they had already withdrawn from my paycheck. Upon being pressed, I noted that if they were not able to do this I would not seek to end my employment with the company, but I would request that my paychecks for the months of June and July be redistributed over the 9 paychecks for the months of September through May so that I could afford the unexpected cost of Teaching Excellence and continue to make payments on the lease I had already signed and afford to live a “normal” life while I continued to teach for the rest of the school year. Finally, I requested that Uplift draft a new version of their offer letter that clearly and accurately represented to new teachers how they would be paid (a lump sum divided over 12 equal payments), that there was no additional pay for training days prior to the start of the school year, and that if they were required to enroll in Teaching Excellence this would cost teachers an additional $4500 out of their take-home pay which could be paid in 10 monthly payments of $450 or 12 monthly payments of $375. Ms. Meyer was cordial and understanding. She told me she completely understood how I had interpreted my offer letter to mean what I thought it did, and she could see how the wording of it had caused confusion. She went on to tell me that she did not have the authority to waive the Teaching Excellence fee, nor did she have the authority to shift my pay from 11 monthly payments to 9, so she would need to bring my concerns to the CEO, Yasmin Bhatia, in order to allow her to make the final decision. To this day I have not heard back about this despite repeated requests for resolution to this issue. It is possible that she never even took my concerns to Ms. Bhatia. It is also possible that Ms. Bhatia was already well aware of my concerns and something else was in motion to “deal” with my problem. I am more inclined to believe the second option because of what immediately happened next. After we ended our meeting, Anne Erickson, the director of the Uplift Hampton campus (my boss, Kecia Clark’s boss), whom I had never formally met prior to this nor had any kind of formal conversation with before, informed me that she needed to speak with me about my job performance. I cannot stress this enough: It was right then and there I knew that I was going to lose my job over this. Mrs. Clark came into the room and Ms. Meyer exited. Then, Ms. Erickson began to outline to me areas of my job performance that were not satisfactory. Most of this did not come as a surprise to me. There had been a few times when I had struggled to meet some deadlines. While keeping everyone in the loop whom it concerned, including the deans and my instructional coach, I had already asked several times for help managing my schedule and juggle the numerous tasks required between Teaching Excellence and standard classroom preparation. I was spending over 80 hours per week on these things, most of it at school, and I was still confused about what was due when. Ironically, much of this stress and time crunch came from completing requirements for Teaching Excellence that had either not been communicated to me in a timely fashion, or had been misrepresented in their scope and time requirement to complete. Again, Teaching Excellence is extremely poorly administered. Additionally, most of those problems had been resolved more than a week prior after hearing my “cries for help” my instructional coach and one of my deans had each taken meetings with me to help me get my calendar, email, and task lists in order. On a side note: One of the biggest deadlines I had trouble fulfilling was the posting of my students grades. Part of the problem was that teachers were not even trained in how to post grades or what the convoluted Hampton grading policies were until several weeks after school had started so I was already behind the ball by the time I had a clue what to do. Additionally, my computer was unable to access the grading system for several more weeks and by the time I had access it took me a while to figure out what was going on. In the meantime, I had kept records on my own spreadsheet at home. The biggest problem was the confusing grading policies of Uplift Hampton Primary School. We are not allowed to post “failing” grades in the first semester. Well, over half of my students, according to their raw in-class test scores were failing abysmally. I had to somehow figure out how to “fairly inflate” those grades to the minimum score we were required to post. One veteran teacher told me, “Look, no one cares what the grades are. Just post good grades to keep the parents and administration happy. Make up grades if you have to. All anyone at Uplift cares about are the standardized test scores.” Also, there were specific requirements for how many grades are collected in several categories over several subject areas – requirements I did not know about during the first few weeks of school – that complicated the problem even further. Needless to say, with my integrity on the line, it took me quite some time to figure out how collect, nudge, and weight enough grades for my students in order to make it seem like they were all passing without doing anything that I felt like was blatant fraud. But lets be honest here. Despite my best efforts, the grades I posted – for the majority of my students – completely misrepresented how much those students were truly learning. After speaking with several teachers about this, I learned that this was happening in just about every classroom in the school. We were painting a much rosier picture that was accurate. You know, the Uplift way. So here I was being lectured about missing deadlines – a problem everyone was already well aware of and I had already taken the initiative to go through great lengths to correct. I knew what was really happening, though. They didn’t want to take my grievances about the pay misrepresentations in my offer letter seriously, so they were building a case to fire me. I couldn’t understand why we were doing this song and dance about deadlines. They wanted to fire me. So, just fire me already. What was the hold up? One of my students had accused me of pulling his chair out from under him, causing him to fall on the floor. I was placed on administrative leave pending the outcome of an investigation into the matter. The investigation was expected to take 24 hours at which time I would be informed whether or not I could return to the classroom. I was asked to make a written statement about the incident, and then I was expected to go straight home. For starters, this student who was accusing me of pulling his chair out from under him was, based on documentation and my observations, the worst behaved student in my classroom. Hampton has a universal “behavior chart” system that tracks students’ good and bad behavior, and for the past three weeks straight this student had ended the day on the lowest possible ranking. He engaged in wildly disruptive and aggressive behavior, had thrown things across the classroom, would speak, sing, and babble loudly over myself or his classmates for attention, and refused to follow even simple instructions such as when he was allowed to use the water fountain, to enter the classroom instead of dancing in the hallway, or to sit in his desk and stop bothering his fellow classmates. In fact, this particular student had previously accused me of trying to hurt him. One day, while I was escorting my class of twenty-five 3rd graders back from lunch, this student continued to play around in the hallway after the rest of the class had entered the classroom. Keep in mind, this student had already been “banished” from my classroom earlier that morning due to his disruptive behavior. “Banishing” is basically the only tool that Uplift Hampton provided teachers with at the time for dealing with disruptive students, and all it involved was sending the offender to the 3rd grade classroom across the hall when reached the bottom of the behavior chart. This student had reached that point in the first 90 minutes of class (which was not unusual for him). Actually, not only was this student “banished” from class, but when he was instructed to go to the buddy classroom, he refused to go, continued to disrupt class, threw a fit, and forced me to call the front office to send someone to come and remove him from the classroom. I want to make it very clear here: When faced with a noncompliant student who refused to stop being disruptive and leave the classroom, my default action of record was to call the front office for assistance. I told him that of course I didn’t hit him, he had run into the wall because he wasn’t looking where he was going and he was about to get sent to the buddy classroom if he didn’t immediately take his seat at his desk. Begrudgingly, he obliged. It was later that very afternoon that the incident occurred that caused him to again falsely accuse me of harming him. While I was teaching, a fight broke out between this student and a female student who sits near to him. The male student was out of his seat, lying across his desk with his hands on the female student trying to pry a pencil out of her hands. I immediately intervened, placed my hands over both of their hands so that no one flew back with fists and broken pencils flying about, and I instructed the female student (who was an exceptionally well behaved students in my class) to let go of the pencil. She complied. The male student then told me she had stolen that pencil from him. I asked him to hand me the pencil, and upon examination, I was able to determine that this was the exact pencil she had been using all day. In fact, I knew that it wasn’t his pencil because he had thrown his pencil on the ground when he was throwing a fit that morning and I had picked it up and placed it in the broken pencil cup in the back of the classroom. So, here I was, standing between this male student and this female student whom I had just broken apart, and I was primarily concerned with the anger and aggression that this male student had just displayed and the fact that he appeared to be ready to jump out of his seat at any moment and attack this female student again whom he felt had wronged him. I was faced with a choice. The preferred option was to walk away and go to my classroom phone and call the front office to remove this student from the classroom for the second time that day. I have done this numerous times including that very morning. Except when I looked at this student who was fuming (breathing heavily, leaned forward in an aggressive posture towards the female student, and clenching his fists) I realized that this was probably not a safe option. The option that did occur to me, based on my previous experience breaking up numerous fights among youth over the past two decades, was to place some distance between these two students and then hopefully convince him to walk with me to the phone. I instructed the male student to go to the back of the classroom where I would talk to him privately. He refused to acknowledge me and continued to fume, staring intently at the female student next to him. I repeated my instruction, telling him to push his chair away from his desk to the back of the classroom. The way the desks were arranged, his chair was in the back of the classroom and his desk was perpendicular to two desks that were placed facing each other in front of his, so this was a very easy option for him. In fact, this was an option he had exercised in the past, having been required to move his chair to the back of the classroom and then I would take his desk back there for him and he would spend class separated from his classmates. I would like to point out that this is an intervention that had been suggested to me by my teaching instructor after she had observed his disruptive behavior in the classroom previously and my futile attempts to correct it with the normal interventions we were trained in. After he refused to move again, and feeling fully confident that if I moved or turned my back on him for one second he would immediately go after the female student again, I placed my hand on the back of his chair and proceeded to drag it to the back of the classroom with him in it. I didn’t yank or jerk it. In fact, I was standing beside the chair rather than behind it, so I didn’t even have the leverage to apply much force. The student responded by immediately slouching down in his chair and sliding himself out of it onto the floor. The rest of the classroom erupted in laughter and he sat on the floor and shouted at me, “You just made me fall on the floor!” Amidst the confusion, he ran out of the classroom. After I regained control of my classroom I received a call from the front office informing me that he was in the office and that I needed to send two additional students down. It was only a few minutes from the end of the day, so I assumed they were being sent down for early dismissal. It was only later that I would discover what was really happening. So, this is basically what happened involving the student who accused me of “pulling his chair out from under him.” I wrote my statement and handed it to Ms. Erickson, and then I was meant to go home. I wanted to gather some personal items from my classroom before leaving, so I asked Mrs. Clark if she would walk with me while I gathered my things to leave (it was probably after 5 p.m. by now and all the students had gone home for the day). On the way to my classroom, I told Mrs. Clark my thoughts on what was happening as I viewed her as a trusted ally and advocate on my behalf. I told her that I felt like I didn’t really stand a chance in this investigation because it was my word against this student’s and I had no way of corroborating my perspective: That this student presented an immediate threat to the safety of another student and I acted in the best interest of the safety of everyone. I told her that it if this was being taken serious enough to place me on administrative leave that there was no additional information anyone could provide to make things look “better” for me, and if that was the case then I “just can’t teach here anymore, that’s what is going to happen.” If I were a student in my own classroom, all I would have seen is Mr. Wiedeman pulling the boy’s chair away from his desk and the boy falling on the floor. This conversation could use a little context that will be very important regarding the ultimate justification for my dismissal. I have had several conversations with Mrs. Clark in the weeks leading up to this day about my inability to maintain control of my classroom and maximize teaching time due to the disruptive behavior of three particular students, this one included. Uplift Hampton Primary School did not have very effective policies to provided consequences to students for misbehavior. So, rather than see negative behavior disincentivised, I had only seen it get worse. Sending a student to another classroom was most often viewed as a reward for bad behavior, not a punishment. And that was the worst “punishment” we could do. We had tried to take recess away from students, but partly due to parent’s complaints about their children missing out on recess, and partly due to the fact that there was not a consistent system of tracking and communicating “recess suspension” punishments (some students had more recess days taken away from them than there were days left in the year and no one was really keeping track of it or enforcing it) this “punishment” had proven ineffective. This was especially due to a supreme lack of cooperation and coordination among the 3rd grade teachers about how recess would be monitored, which I had also brought up with Mrs. Clark. Rather than equally monitor recess, I had found myself being the only adult out on the playground monitoring 100 3rd graders while the other teachers sat in the shade by the building and talked among themselves or, in the case of one teacher, ate lunch every day during recess in a chair by the door to the building barely aware of what was happening more than a few feet away from her. My suggestion was that we establish four “stations,” and rotate the teachers on recess duty among those stations. One station would be for misbehaving kids to sit inside and do extra homework during lunch and recess while being monitored. I had seen this work in several other schools. My suggestions apparently fell on deaf ears. In my conversations with Mrs. Clark about these issues and other behavior management issues I repeatedly brought up these three students who were especially troubling for me and the primary source of disruption in the classroom. Unfortunately, Mrs. Clare shouldn’t have even been the one I was discussing these matters with. We had a “Dean of Culture” which was a fancy title for the principal in charge of behavior management and punishment. But, she had been on maternity leave since the beginning of the school year and the administration seemed to be stretched thin managing the school among the two deans who remained (in addition to Mrs. Clark). One of my disruptive students, he absolutely broke my heart. I really loved this kid and wanted to help him. But he seemed to have some serious deep seated emotional issues that expressed themselves by him shouting, throwing tantrums, and even physically assaulting classmates. After several attacks, this student had received an in-school suspension. Unfortunately, he viewed this as a reward because he got to sit in one of the dean’s office and receive one-on-one attention and get rewarded for good behavior with candy. Finally he received an out-of-school suspension which, to my surprise, was given to him without even consulting or informing me in advance. Yes, I found out this student had been suspended from school when the campus attendance administrator contacted me and said that I had marked him absent incorrectly that day. I desperately wanted to refer this student to a counselor. His behavior and things he said to me led me to feel like he was dealing with issues at home that I was not qualified to handle. I had a form filled out and ready to submit. But, our primary school counselor had quit her job shortly after the school year started and that was another spot that was vacant and another disservice to the students. There was no one on campus qualified to help him. In my frequent discussions with Mrs. Clark I had expressed to her feeling overwhelmed and unable to deal with some of the problems that these three students in particular were going through that was ultimately leading to their disruptive behavior in the classroom. I told her that I felt like they had no respect for authority, and this seemed to be something they had learned outside of the classroom, and that either how they were raised or their home environment was an obstacle didn’t know how to overcome with my limited time with them in the classroom and I desperately needed help with. I believe I even asked her something to the effect of: What could I do in just a few months to start helping them unlearn behaviors they had been practicing over the last 8 years of their lives? I cared so much, and still do to this day about my students – all of them, even the few ones with behavior problems… Especially the ones with behavior problems. Obviously, I was grossly unprepared to deal with some of the extreme cases that I encountered, cases which in combination only exacerbated the problem. It was like playing wack-a-mole. As soon as one kid stopped disrupting class, another one would start in, then another. This is how I spent most of my time rather than actually teaching. It was deeply discouraging and I was desperate for help – help I was not receiving from the administration. The mother of one of my students had sat in on my class to observe one afternoon and she frequently volunteered at the school. In one of our conversations, I told her that I felt like I was doing a terrible job because I spent more than half of my time correcting behavior in the classroom rather than teaching – and that I felt like I was letting her and her daughter down. She asked me if I had thought about quitting and I told her, that on really bad days, yes, I had questioned whether or not I was in the right place or should quit. She told me then that if I quit she was going to immediately dis-enroll her daughter from Uplift Hampton. She went on to tell me, that she actually planned on dis-enrolling her daughter at the end of the year regardless and enroll her in the local district school. That came as little encouragement to me then, but in retrospect, I would like to believe that I did everything I could but was just up against problems that couldn’t be fixed at my level. I guess I’ll never know. And so I was sent home on administrative leave on September 28th. Then a day went by. Then another day passed. And another. I hadn’t heard anything from anyone at Uplift and I was very confused considering they had told me it would be a 24-hour investigation. I emailed Mrs. Clark and asked her what I should be doing with my time. I wasn’t sure if I needed to come get papers to grade from school or if I needed to follow up with anyone in any other way. I had written my lesson plans out for the next three weeks, but I wasn’t sure if I needed to make any changes. Mrs. Clark never emailed me back. I also met with some other Uplift employees, a veteran teacher and a school counselor from another Uplift school. They both told me that I would be fine, that they had seen much worse accusations come up against teachers and they were still in the classroom teaching. They said the wait was so long because Uplift’s human resources department was stretched too thin and was extremely slow moving. After all, they said, it took Ms. Meyer over a week to respond to my original email about setting up a meeting. Finally, a full week later, on Monday, October 5, 2015, I was called into the Uplift Education corporate office to have a meeting with Diana Meyer, Anne Erickson, and Kecia Clark. Of course, I remember having a conversation, but I certainly don’t remember saying those things to her at all. Because I didn’t say those things to her. In fact, what Mrs. Clark was doing was confabulating several conversations we had over weeks prior into some kind of quote that makes it sound like I was disparaging the entire student population in some kind of negative rant. It was clear to me then what was happening. I’m a white male teacher in a school that is almost entirely black and Latino. Mrs. Clark was mischaracterizing things I had said to her as my supervisor seeking her help to deal with specific students so that it appeared that I was making a veiled racist rant to a coworker. Anyone who knows me and has worked with me knows that this would be completely out of character for me to say under any circumstance. Even current teachers at Uplift Hampton whom I worked with only a short time know me well enough to know I would never say, much less think such despicable things. Within minutes of leaving this meeting, Mrs. Kecia Clark, escorted Mr. Wiedeman to his room to gather his belongings. Mr. Wiedeman made statements such as “these kids have been raised wrong for 8 years,” “I can’t teach in a school with these behavior problems”; “culturally the scholars are being taught that they can do whatever they want and get away with it” (this is a slight paraphrase). Again, Mrs. Clark told Mr. Wiedeman that the way he was talking about the scholars was inappropriate. Mr. Wiedeman continued to talk about the job and scholars with a negative tone as he walked out of the building. Mr. Wiedeman violated the directive he just received in regards to professional communication. Ignoring the horrible grammar, I would like to point out that Mrs. Clark does a brilliant job of hinting at her own dishonesty: She places what I allegedly said in quotation marks to make it look like an exact statement I made, but then she later admits she is not actually quoting me. The “directive he just received” was referencing a warning I was given to not discuss personal matters involving my life, my employment, or other students in front of other students. With their broad application of that directive, that seems to completely close the door to any kind of open communication with superiors to discuss problems in the classroom or ask for council and advice. The message Mrs. Clark is sending is perfectly clear: Don’t complain to me about misbehaving students or come to me for help, because I will later use what you say against you and twist it to make it seem like you are a hateful racist. To be honest, and you can quote me on this, I don’t see how a school can function in that kind of distrustful environment. Culturally, your teachers are being taught that you aren’t there to support them and they cannot go to you for help. Mrs. Clark then went on to discuss the accusation by this other student. She stated that multiple witnesses to the incident had been interviewed, including adult witnesses, and that they had failed to corroborate my version of events. Rather, witnesses had seen me try to “forcibly remove the scholar” from the classroom. Having been there myself I can say without a doubt that this scholar was never forcibly removed from the classroom and ran out on his own accord. I never so much as laid a finger on him, and there could not possibly be any witnesses that saw otherwise. My ears really pricked up when she said adult witnesses. There were no adults in that classroom besides myself. There were no adults near my classroom in the hallway. I know because when the offending scholar in question ran out of the classroom I followed behind him and closed the door. From where I was standing by the student’s desk I could see clearly into the hallway and had I seen any adults nearby, I would have called to them for help. So, the mere fact that Mrs. Clark stressed to me that there were adult witnesses whose statements had been taken into account was all the evidence I needed to understand that the fix was in. There was no legitimate investigation. There was no legitimate consideration given to what actually happened in the classroom that day. Mrs. Clark had no qualms about lying about things I said to her when I went to her asking for her advice and council, and it was clear that she and whomever else was involved in this sham “investigation” didn’t have any problem with lying about what witnesses had said or had not said. 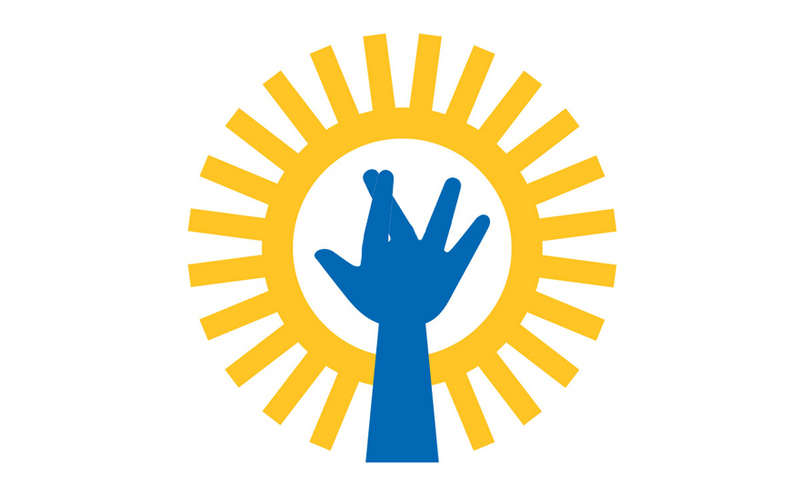 Is it really possible that Uplift Education is engaged in rampant intentional deception and fraud of their teachers, lying to them about their pay and using Teaching Excellence as a bait and switch tactic to pay first year teachers at 71% the market rate by charging them for one of the most outrageously expensive alternative certification programs in the country without telling them about the cost upfront? If you look at my offer letter, it would appear that is clearly what they tried to do with me. And no sooner had I raised a serious objection over the issue then they found a way to quickly and quietly get rid of me. I mean, I was put on administrative suspension immediately after my meeting with the head of HR on the issue. It is painfully obvious what they were doing. I have no doubt in my mind that other scholars “complained” about me in one form or another. I’ve stood in meetings with parents and students and listened to students who were angry at me for “punishing” them by writing them up or sending them to the buddy classroom accuse me of all manner of wild things. One student said I took embarrassing pictures of him and then showed them to the rest of the class so they could make fun of him (a complete fabrication, by the way). No investigations ever were triggered. You know how the administration dealt with that student? They just transferred him to another classroom, and then transferred a different scholar into my classroom who wouldn’t respect his previous teacher. And what is heartbreaking is I know these kids are good kids. They just have a lot going on in their life and are overwhelmed or haven’t learned how to appropriately deal with their emotions yet. And to the Mrs. Clarks who are reading that last sentence, let me please clarify, I am speaking about two particular students about their specific life circumstances which I have firsthand knowledge of; I’m not making a blanket racist accusation about all the students at Uplift Hampton as you are known to accuse me of doing. And I have no doubt that even if this investigation was necessary, which is totally fine, that it would have never resulted in my being dismissed had I not already been expressing my displeasure over being lied to by the school from the start. After all, I’ve had multiple other Uplift employees confirm that they were witness to worse incidents and behaviors from teachers that did not result in termination. What was the difference between me and them? I was onto their con and asking them to honor their offer letter, that is the difference. And what is even worst of all is that I am entirely confident that if I had walked away to make a phone call, that boy would have attacked that girl the moment I was out of arm’s reach. Someone would have gotten hurt, and the one thing I do not regret was the simple interventions I did to protect both students involved. But honestly, how did the administration expect me to handle that situation given what I was observing in the moment? Despite the weeks of training we go through prior to school starting we are never trained on these kind of interventions or even told to expect them. All we are left with is our personal judgement and common sense, and in that situation my judgement and common sense told me that two of my scholars were about to get hurt and pulling one of their chairs a few feet away from his desk was the safest and least intrusive intervention I could do at the time. So, absent any training to tell me otherwise, that is what I did and no one got hurt. I made the right call. I don’t regret, nor do I apologize for doing the right thing to protect my students. I have never felt more of a justification for teachers’ unions more than I do now after what I saw go down at Uplift Education, beginning with my deceptive offer letter and ending with my sham termination. What is especially discouraging from all of this is that it has shaken my confidence in everything Uplift Education does and claims about fulfilling their mission. I have no doubt in my mind that the stated mission of Uplift Education is a very noble one and that most of the people working for the organization are wholeheartedly doing their best to fulfill that mission every day. I have no doubt that Uplift Education has transformed the lives of many students and helped put kids in college who otherwise would have not gone there, and helped kids complete college who might have otherwise dropped out. I just wonder, at what point does Uplift Education administration draw the line? Clearly they don’t mind abusing their teachers and playing deception games with them. That is probably why they have a 2.6 out of 5.0 rating as an employer on Glassdoor.com from current and former employees. I’ve even begun to suspect their claim of 100% college acceptance rate among graduating seniors might be a clever fabrication. Uplift Education high schools require that their scholars be accepted into some kind of college program as a condition of graduation. So, what happens if a scholar isn’t accepted into a college? Are they not allowed to graduate and therefore don’t count against their 100% claim? Are you telling me that somehow Uplift schools, unlike nearly every other school in the country, leave no one behind, have no dropouts, and are a truly guaranteed path towards college for every scholar who is enrolled? That is a very lofty claim and tough to believe at face value, but even tougher to believe after knowing first hand what kind of blatant deceptions they are willing to engage in with the people who are teaching those scholars. It is already painfully clear that Uplift Education has policies in place that force teachers to fabricate or inflate their students’ grades, creating a culture where what students are learning in class matters less than how well they can game the standardized testing system. Over half the teachers at Uplift Hampton Primary for the 2015-2016 school year were new hires. In fact, Uplift Hampton Primary didn’t even have all their teacher positions filled – they only had three 3rd grade teachers for four classrooms for the first two months of school and did not have a foreign language teacher or a music teacher (which is a violation of the conditions for them to claim International Baccalaureate – something else they are probably cleverly hiding from the IB inepectors). Clearly there are some serious internal human resource problems going on at this school and the students are suffering as a result! If this current administration is not culpable for it then the previous administration certainly is. In case you are wondering, the outgoing director of Uplift Hampton Primary School did not resign and was not fired, but went to work as an administrator at a different Uplift school. This strikes me as an odd reward for an administrator who loses over half of her faculty in one year. And yet, their Uplift corporate human resources department seems to be their weakest link. They have numerous complaints about them being unresponsive, unhelpful, and providing unsatisfactory resolution to employee concerns. If Uplift Education cannot even do right by their own employees – if they cannot find and retain enough talented teachers to operate effectively – how can parents trust them to educate their children? Who wants to send their kids to a school where over half the teachers are new hires, most of them first year teachers, and most of them were tricked into taking the job at a pay rate that is twice below market rate than they thought they were signing up for? I care so much about each and every one of the students that I encountered at Uplift Hampton. So many of them were desperate to learn, desperate to get ahead, or desperate to be challenged. One of my students, whose parents had enrolled her at Uplift that year, was testing at a 5th grade level in math and 6th grade level in reading when she came into the school. She came to me on more one occasion crying because she felt like she was not able to learn as much as she needed to in class because a small handful of students were constantly disrupting class and interrupting the lessons. She told me she wanted to go back to her old school and didn’t understand why her parents had transferred her to this school where she couldn’t learn and be challenged anymore. This same girl, 3rd grade, told me that she wants to go to Harvard someday. And I have no doubt she can and will. She will probably have a better chance if she doesn’t attend Uplift Hampton Primary, though. I hope for her sake that at this point in the school year those disruptions are no longer a problem. I hope that I have been replaced with a teacher who is better prepared and better suited to maintain order and discipline with an iron fist which I constantly felt I was incapable of doing. Better yet, I hope for her sake that her parents see what is going on with Uplift Hampton and just pull her out of there, just like the other parent I spoke with who told me she was going to pull our her children. I want nothing more than for my scholars to have the best opportunities to learn and be challenged so that they can reach their full potential. Those kids, they are so smart and full of potential. I am truly sorry that I cannot be there for them and have let them all down. I hope they are able to realize their potential and that Uplift Hampton Primary can get its act together or that their parents put them in better schools before it is too late. Well, I moved to Dallas from Chicago with so much excitement and hope and love in my heart. I thought that Uplift Education was going to be the beginning of a beautiful new chapter in my life and the start of a long productive relationship where I could fulfill my dream of being a force for good and positive influence on young people’s lives. Instead, I find myself unemployed, still looking for work after six weeks of searching, and facing eviction if I cannot come up with rent by the end of the month. In fact, I’m probably going to run out of gas and food before the month is out; I only have about $20 left in my bank account as I write this. But worse than my personal financial woes, I am devastated that my respect and hopes in what I thought was a great institution have been shattered. And I am devastated that in addition to losing my job, I have had my reputation smeared by the lies told by unscrupulous and devious individuals. It is difficult for me to find new confidence in myself. It is no wonder that no one is biting at the hundreds of jobs I have applied for over the past two months. My sense of low self-worth must be oozing out between the lines of every cover letter I compose. It is difficult for me to feel optimistic about any more job opportunities that come my way. Sure, they may appear like an amazing place to work out the outside, but what am I going to discover once I start working there? What kind of lies and deceptions are they going to present to draw me in with only to turn the tables on me and make me regret the day I ever applied? And I never did receive an answer to my original complaint to Diana Meyer that she promised she would take to the CEO, Yasmin Bhatia. In fact, I have emailed Ms. Meyer twice in the past two weeks simply asking if there was ever any resolution to my inquiry about the Teaching Excellence fees. What I don’t mention is that I sure could use that $900 that Uplift Education stole from my paycheck that I have not seen any benefit from. Despite these personal struggles. Despite the smearing of my reputation and the catastrophic financial ruin I am facing only a few weeks away, I somehow am going to have to choose to soldier on. It might be too late for me to get my life back on track, but I refuse to acknowledge it until things are truly out of my control. I choose to believe in myself. I choose to believe in others. And until I am proven otherwise again, I choose to just keep trying. At the end of the day, even if it is too late for me, I know one thing: It isn’t too late for my students. Even if nothing good comes in my life, I know that these kids have what it takes to make something good come in theirs. I hope I live long enough to see that happen. In the meantime, Uplift Education and those who lied to cover up their scam: you folks should be ashamed of yourselves. If you still have it in you to feel shame, you should be truly and deeply ashamed.